Leica M7, Fuji Velvia film, 2004(?) 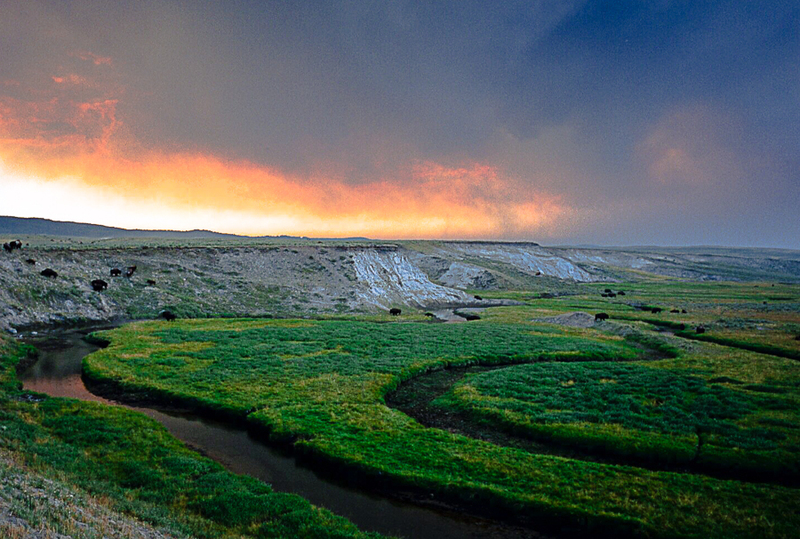 when fires in Montana clouded the sky, By the way, the guy who got gobbled by the bear was killed about a mile behind these buffalo-strewn Haydon Valley hillocks. This entry was posted on September 4, 2011 at 2:38 pm and is filed under Uncategorized with tags Fuji Velvia, Leica M7. You can follow any responses to this entry through the RSS 2.0 feed. You can leave a response, or trackback from your own site.